Hanna is a senior with a major in English and a minor in Digital Media Arts. Aside from writing, she is passionate about radio journalism and hopes to work full time in that department upon graduating in the spring. She loves local music, trying new restaurants and adding to her collection of manual typewriters. 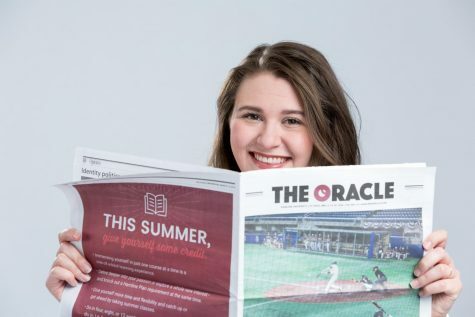 If you're looking for her on campus, you'll either find her at her job in Undergraduate Admission, putting on an event for Peer Education, hiding out in the HU Radio station or typing away at a column for The Oracle in Bush Library (aka her favorite building at Hamline).